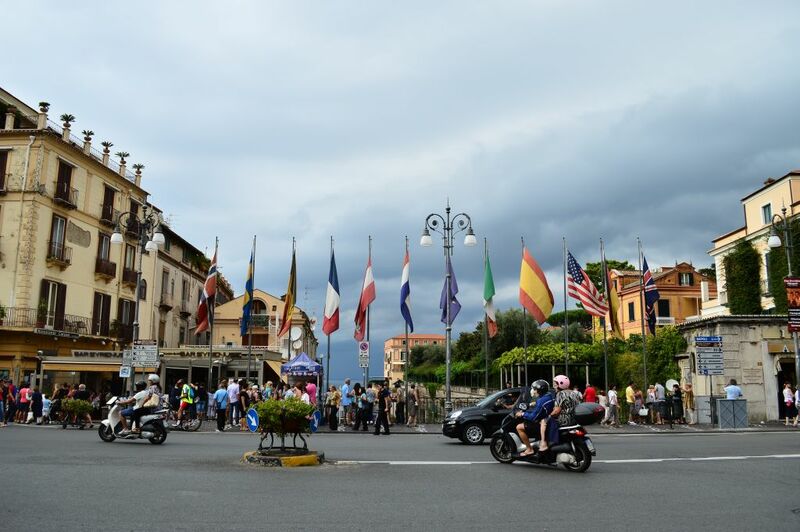 It is not easy to define what is it about Sorrento that reminds you so vividly of the old glitzy European resorts of the first half of the 20th century. 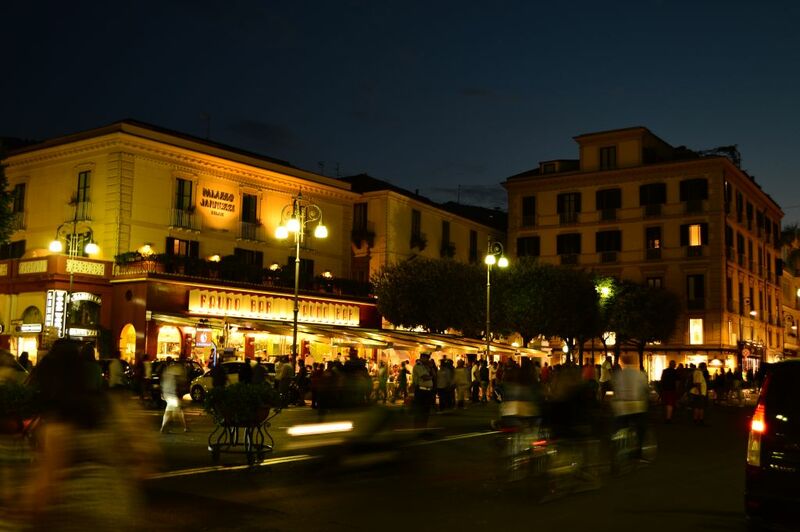 Maybe it’s the Mediterranean architecture of luxurious old hotels, or its small streets and hidden squares, or the fact that Piazza Tasso, the town’s central square, turns into a pedestrian area in the evening – the crazy traffic gets shut down and tourists stroll around, merrily and nonchalantly, enjoying a gelato or a late drink in one of the cafés surrounding the square. 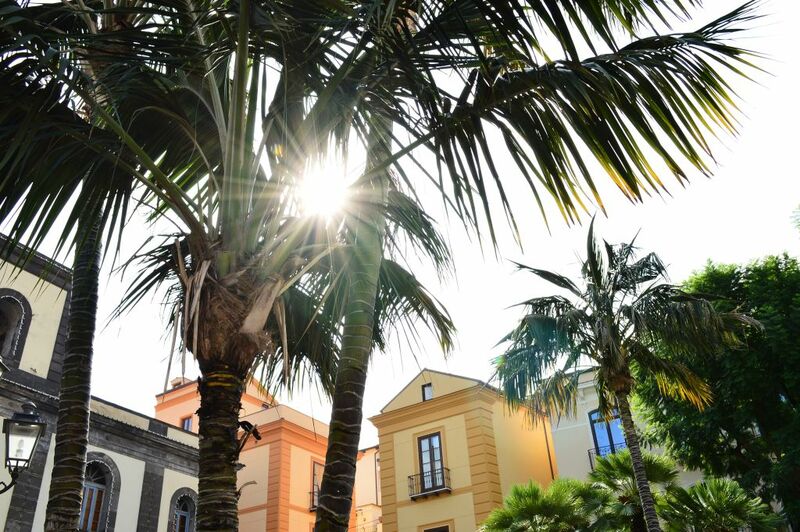 Add to the picture palm trees and fragrant flowers, romantic gold illumination of the street lamps and views of the sea… and you feel like you have walked into a set of an old Hollywood movie. 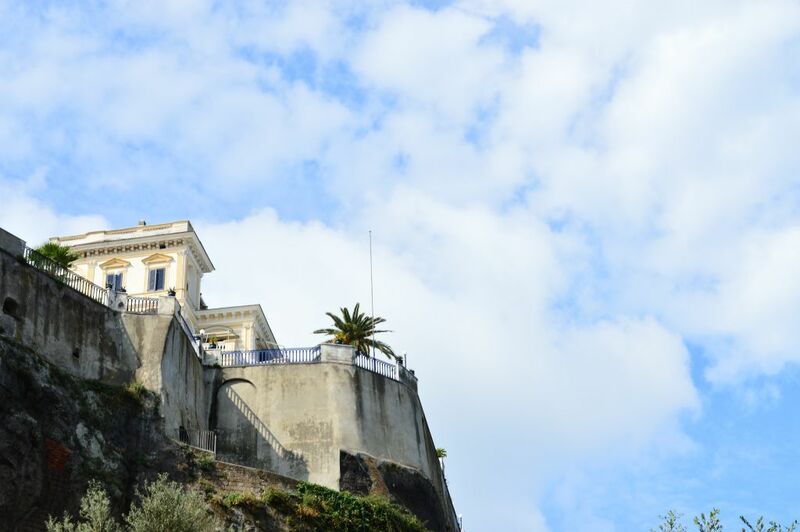 Although the first impression is that of a classic, classy Italian resort, Sorrento on a second glance turns into a strange little town where unexpected sights lurk at every corner. 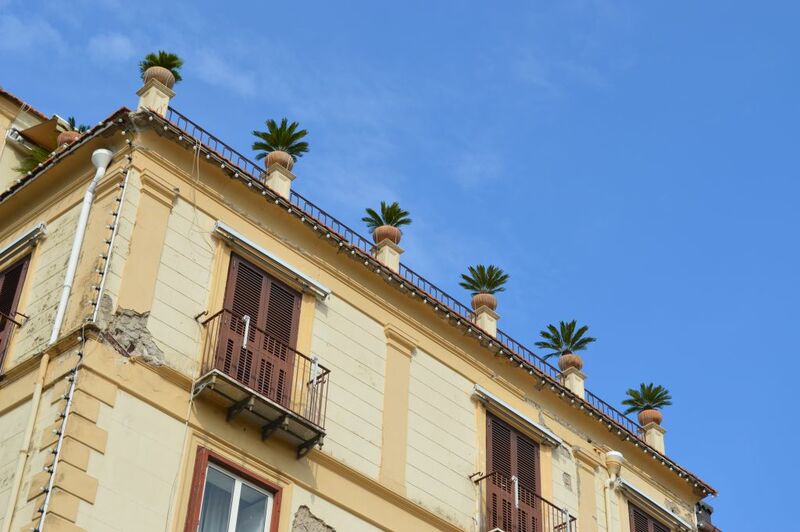 For example, as you approach Piazza Tasso, what might slightly surprise you is the deep, steep valley filled with shrubbery in the middle of the area that is otherwise filled with palatial, beautifully lit hotels and buildings. What at first seems like a strange example of neglecting in an otherwise lovely and up kept town centre, turns out to be, as the quick look into your guide book will probably show you, a deep crack in the rock created during a huge eruption that happened 35 000 years ago. 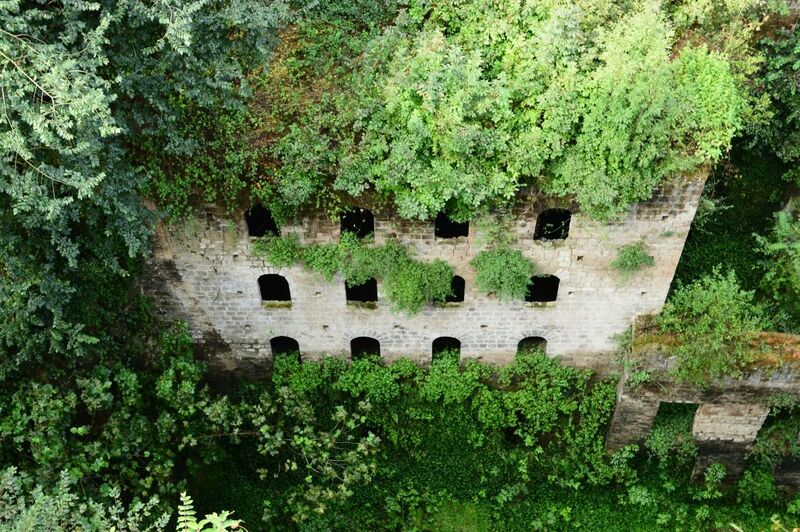 Today, this area is known as Valle dei Mulini (Valley of the Mills), taking its name from the largest of several abandoned brick mills that were built at the beginning of the 20th century at the bottom of the valley in order to take advantage of the constant stream of water located there. 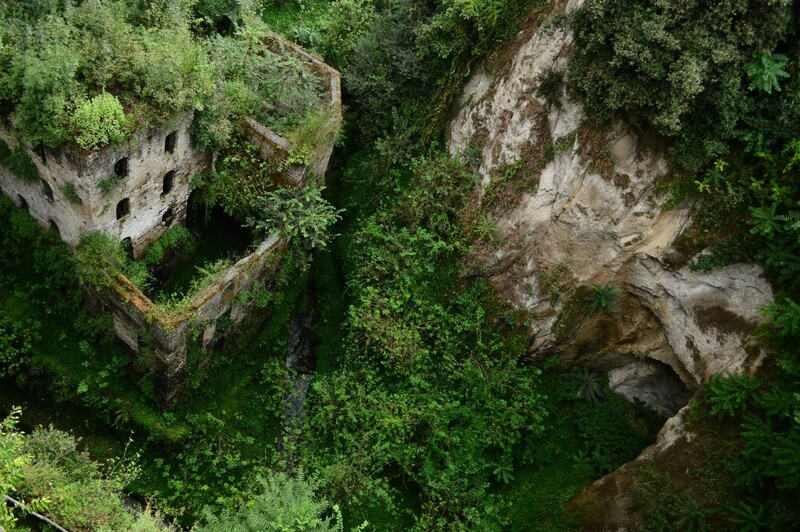 Peeking down the gigantic crack and seeing the surreal ruins of buildings reminds you of the fact that the Sorrento peninsula – and the entire area surrounding the Gulf of Naples – is a fascinating geological area full of examples of Mother Earth’s power, wonder, quirkiness and fickleness. 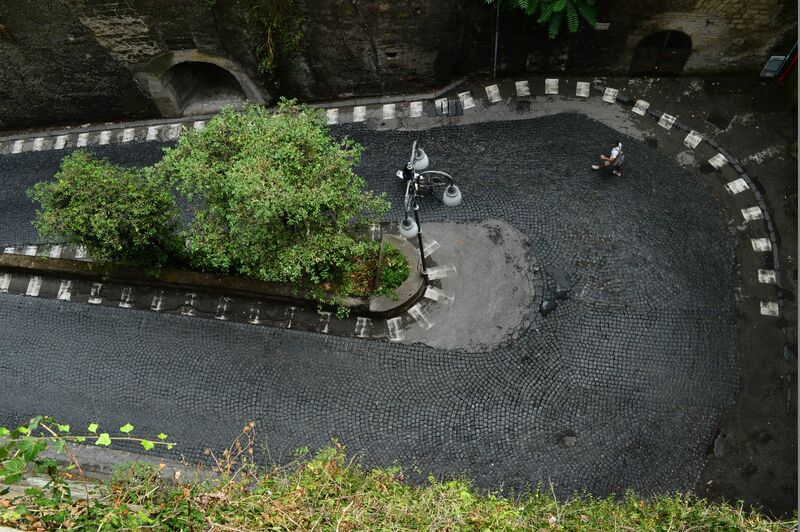 Another thing that shows you that Sorrento is not a typical seaside town, but a strange place situated in fascinating natural surroundings is its location – perched at the very edge of a high cliff, on a massive stone formation looking as if it was cut off, in clear, straight cuts, from a block of stone that no longer exists. 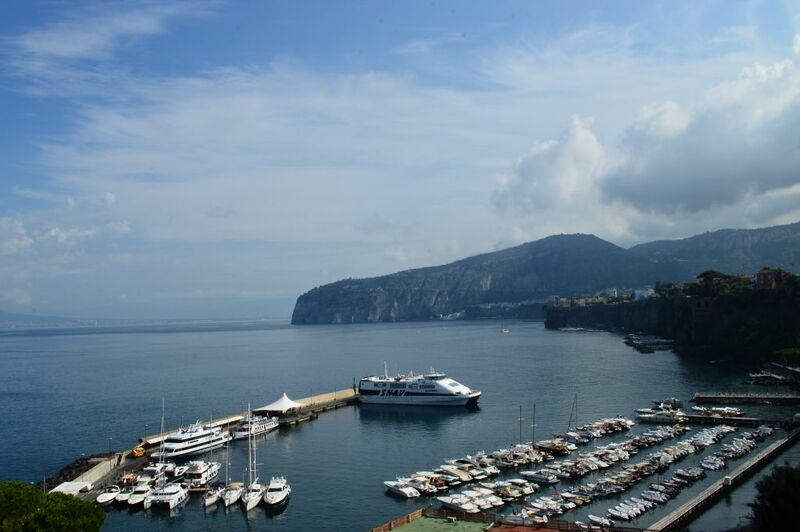 If you want to come to Piazza Tasso from Marina Piccola, Sorrento’s little harbor that serves as a sea link with other parts of the peninsula and Italy in general, due to the very impressive elevation difference, you can either choose to take the long, curvaceous, somewhat steep road and marvel the town’s layers of architecture and views of the sea, or climb the steep steps carved directly into the cliff and test your physical fitness to the very limits. 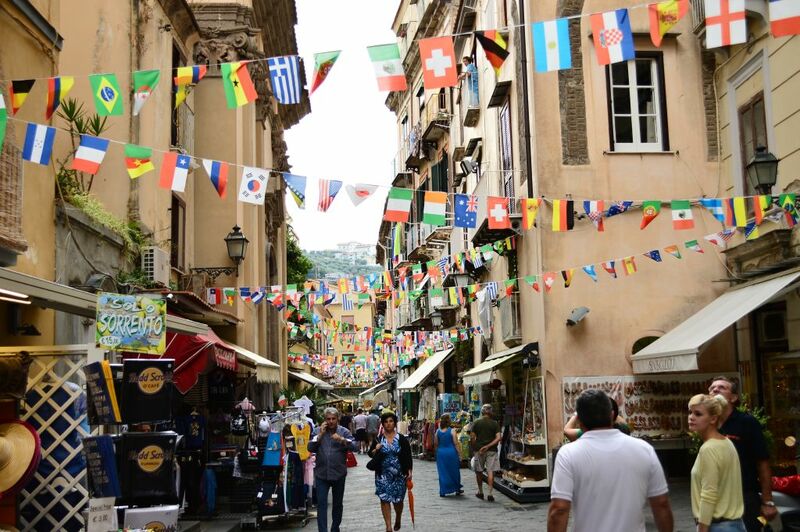 Once you discover Sorrento’s peculiarities and conclude that the town would be a perfect setting for one of Agatha Christie’s crime novels due to the just right amount of grittiness behind the glitz and the poshness of the town, you can relax and start exploring Sorrento’s narrow side streets full of restaurants and tiny shops. The leitmotif of your walk will surely be color yellow. 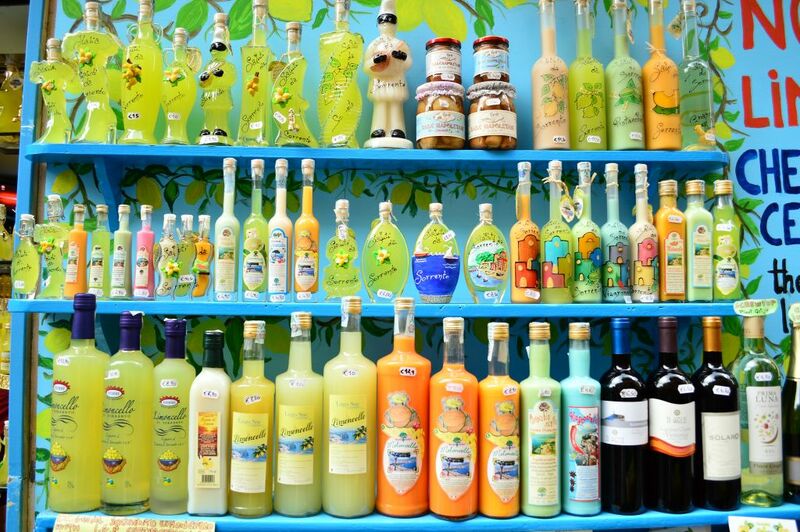 It is everywhere and in everything: in bottles of limoncello, soaps and souvenirs, biscuits, candy and in or on every other imaginable sellable item. 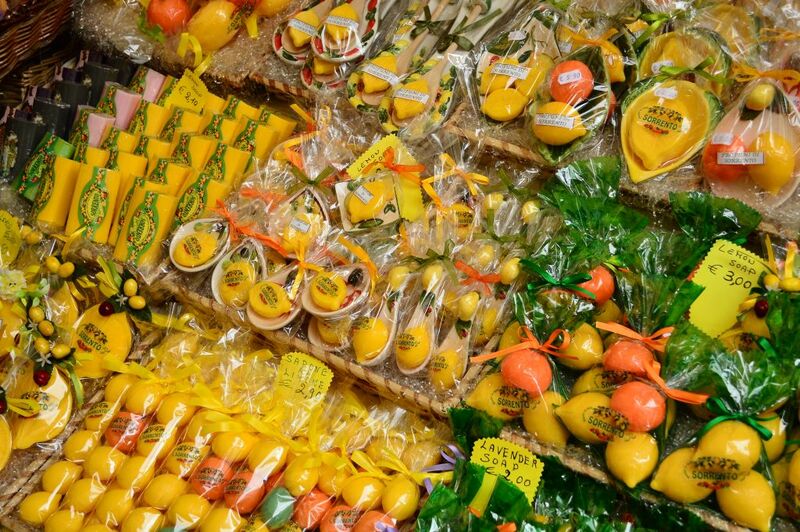 Before you succumb to the urge to have everything that Sorrento’s sellers have to offer, because the color yellow never seemed so bright and inviting before, and the smell of lemon that you can’t escape gets soaked up into your clothes, you will be offered, almost in every shop, different lemony treats – lemon liquors and creams, biscuits, hard and soft candy and chocolate. 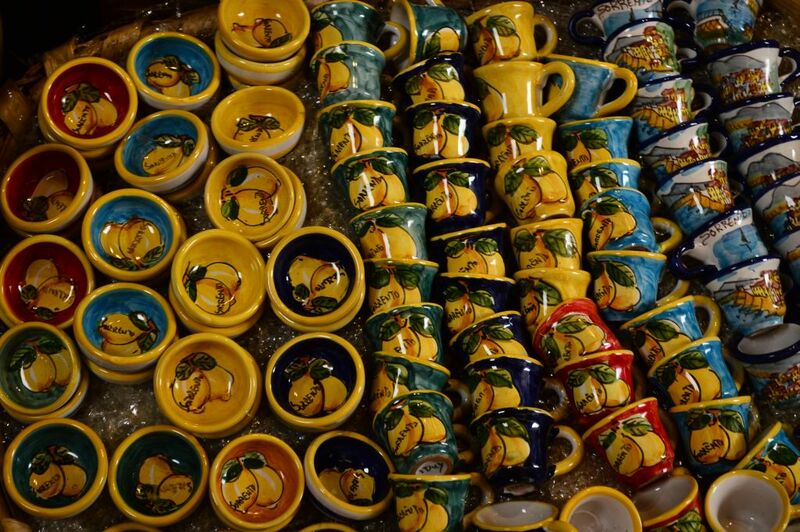 If you get overwhelmed with lemon-themed shops, there are other popular souvenirs that will remind you of Sorrento, such as pepperoncini and other fragrant condiments, maiolica pottery and inlay wood objects. 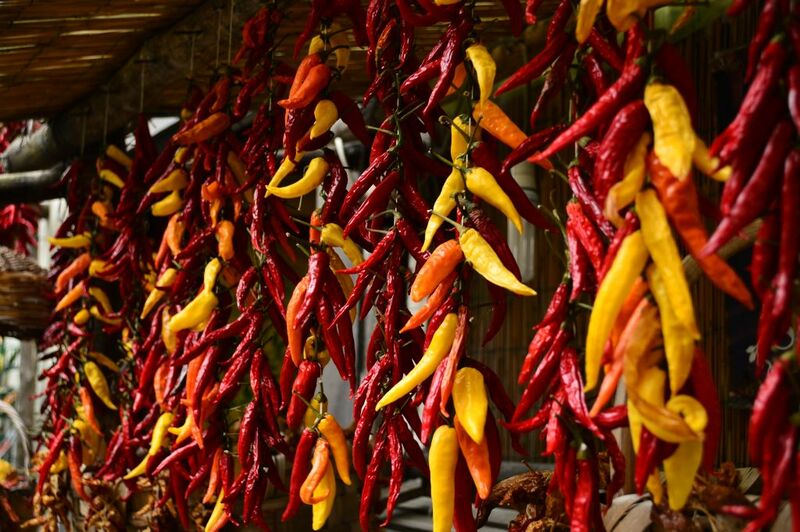 They all add to the festival of fragrances, colors and details that you simply cannot avoid to experience with all your senses. If experienced in too high doses, even delight can be a bit tiring. 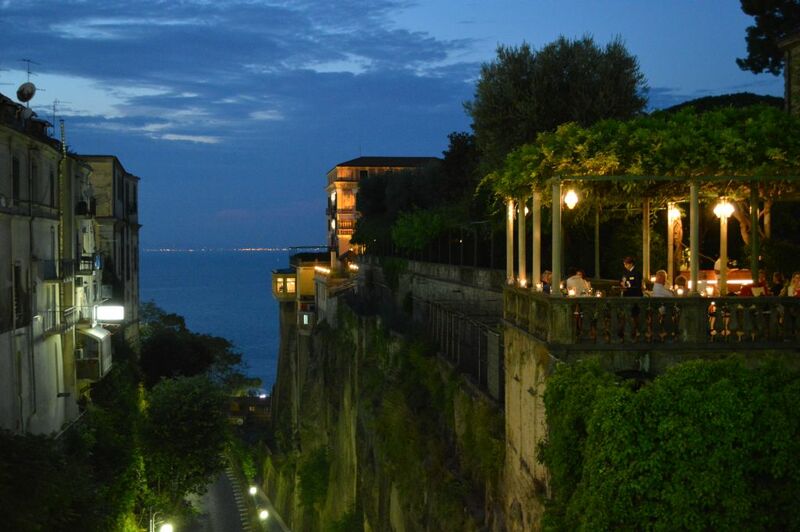 So once you fulfill your lemony desires and collect all necessary and not-so-necessary reminders of Sorrento, the best thing is to have a drink at one of the many terraces on Piazza Tasso, enjoy the atmosphere of the town and listen to wonderful, romantic canzone Italiane played by street musicians. 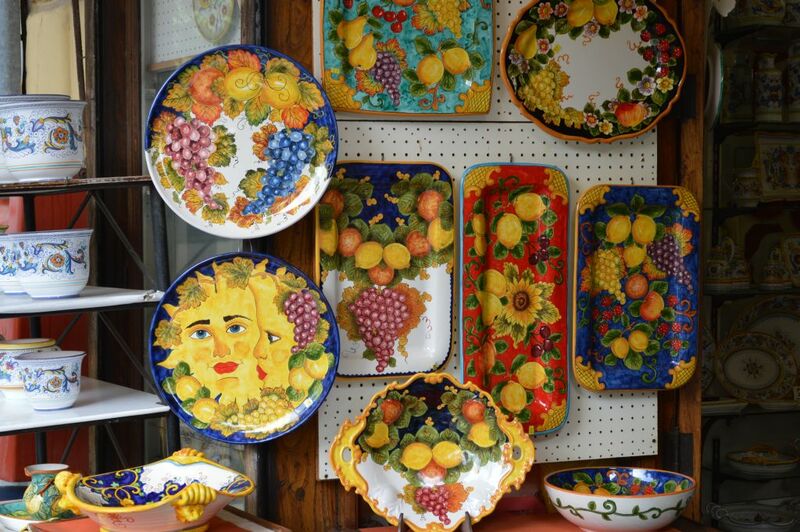 Because what else do you need to live the lifestyle of Italian Dolce vita? 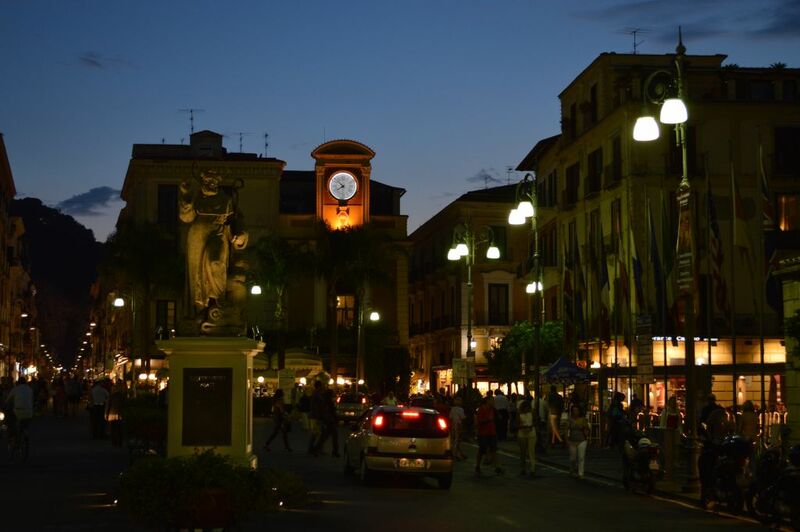 Thank you for sharing your pictures and for capturing the essence of Sorrento. It has brought me back and the love you feel for this magnificent place is written so beautifully. I feel like I re-visited my most favored destination.